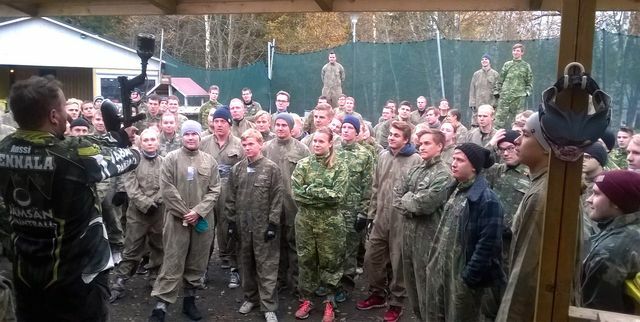 Paintball games in Jämsä are fun for the whole group! 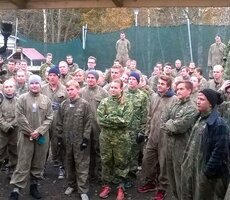 - Jämsän Paintball, yli yhdeksän pelikenttää - parhaat pelit meillä: paintball on hauskaa yhdessä tekemistä ryhmille. 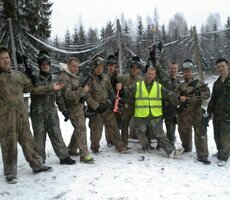 Paintball games in Jämsä are fun for the whole group! Do you want to try something new? Do you want to have fun and enjoy yourself with a group of friends? The fun, sporty and exciting activity known as paintball is absolutely captivating. It is easy to lose track of time during the game. Here in Jämsä, we have the largest playing venue in Finland with more than 10 playing fields to romp around in. Have you not played paintball before? Don’t worry. Our experienced instructors will guide your group right from the start. 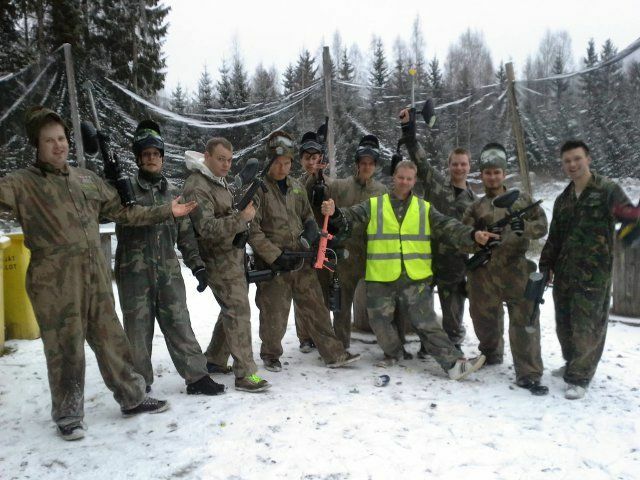 The majority of our customers are actually people who have never played paintball before. Once the group is familiar with the game and the fields, it can play on its own. You are welcome to play on our fields for as long as you want. There is also a changing room available as well as a gas grill for barbecuing sausages, for example. Have you already played paintball and know what it’s about? Great, welcome to play at our venue! Come and try out our playing fields and different game types on the fields! Customers may choose from three different game packages and extra paintballs are available, if needed. If your group consists of more than 20 people, please ask for a separate offer. The game package includes all that you need to play: the constructed game terrain, game instruction, overalls, a gun, a compressed air tank, a mask, paintballs and air tank maintenance. We charge only for the game package, not for the playing time. Prices below. Extra paintballs are balls purchased in addition to the actual package. When do you need extra paintballs? Many groups get carried away when playing in the constructed urban game area, for example. Time flies, especially in the city, and often the group may wish to buy a bag or two more paintballs to make most of the tense final moments of the game. Overalls €5/pc. Overalls at winter time €0/pc. How do I book a paintball game? 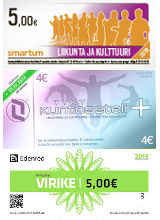 Easy: just call us, we speak English as well as Finnish. If you prefer not to call, you can also book a game by contacting us using the form that will be sent to our e-mail address. We usually reply within 24 hours. If you do not receive a reply within this time, it is possible that the message has not reached us, because we always reply. If this happens, do not hesitate to contact us by phone.